In a year which finds both the President of the British Cardiovascular Society and the President-Elect of the ESC to be in the hands of truly inspiring women, there seems no better time to demonstrate that it is possible for women to achieve and to lead our profession into the future. There has been significant focus of the ESC on the issue of Women in Cardiology and in recognition of this the Society has this year offered a staggering 8 grants for members to attend the Women Transforming Leadership Programme. The winners of the grants this year included Vanessa Ferreira. Congratulations Vanessa, and please share your experience with us! I would encourage future applications to this programme. Also, at the ESC, the results of the EAPCI Women Committee worldwide survey were discussed1, and given small numbers of female interventional cardiologists (only 10% are female) this makes for some interesting reading. I would urge all of you to take the time to read this article. 1787 respondents took part (60% women). Women were less frequently married than males (57% v 79.8%, p<0.001) and more frequently childless (46.6% v 20.5%, p<0.002). The most common reason for pursuing a career in intervention was passion and for those choosing not to reasons were lack of opportunity, concerns about radiation exposure and preference. 652 men responded to the question of why women do not choose intervention and they perceived that on calls and long working hours were the most frequent reasons. 39.6% males responded that “work conditions were too challenging, stressful and not suitable for women”. In terms of encouraging and supporting our medical women to pursue in cardiology, we still have a long way to go to achieve gender balance. 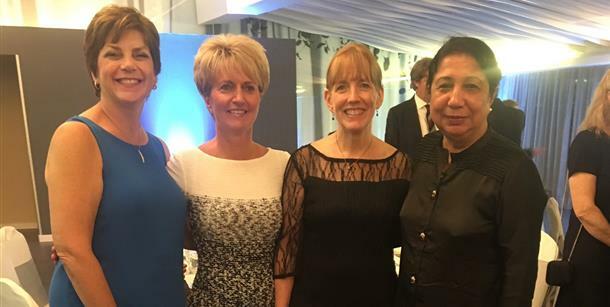 The British Cardiovascular Society is strongly committed to this aim and we look forward to working with you to strengthen the networking opportunities and support for women in cardiology. There are a number of projects I am currently exploring to support this aim, so watch this space. I have already been contacted by a number of individuals keen to get involved in this and am delighted to receive such support. If you are interested in getting involved then please do not hesitate to contact me.